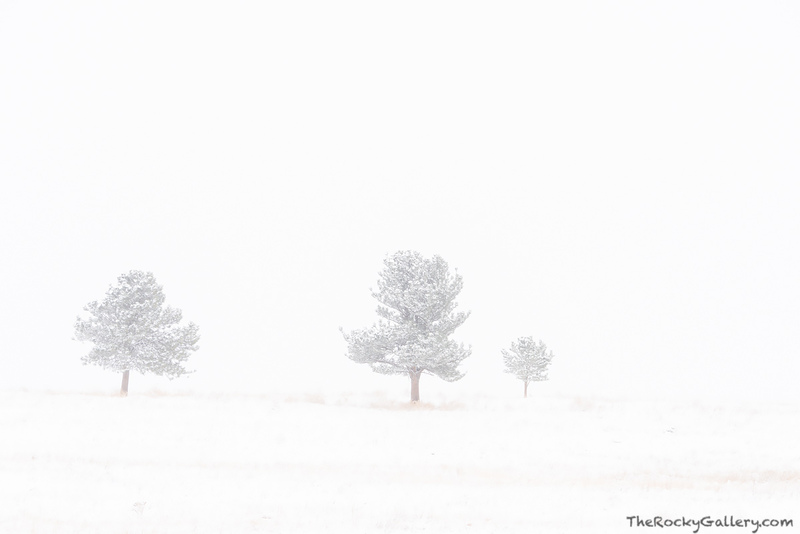 Blizzard like conditions have settled in over Boulder, Colorado. South of town along the Greenbelt Plateau trailhead these three Ponderosa Pines weather the storm in the open but harsh beauty of the plains just east of the foothills. Photo © copyright by Thomas Mangan.